Do you love to read romantic novels? Check out this original love story that takes place around Folly Beach and Charleston. Jackson Henderson makes a magical discovery on the last day of school. He stumbles across a magazine that teaches him how to paint. In a short time, he becomes a Master Painter and discovers he’s been given a special gift. Hannah Walker is starting a new chapter of her life in the coastal town of Folly Beach near Charleston, South Carolina after losing her mother to breast cancer. The young couple have a chance meeting on Christmas Eve that turns into a swirling romance that takes them both by storm. As their love grows, they make a solemn promise to be together no matter what. As they navigate the twists and turns of life, tragedy strikes. Can they keep their solemn promise? 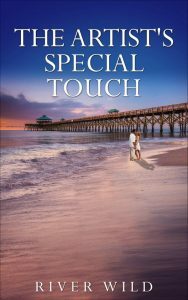 I grew up on James Island and have written an unforgettable love story called “The Artist’s Special Touch.” Return back to some of your favorite places growing up on James Island and Folly Beach. If you like Nicholas Sparks type books, you will love this book. It even has a half rubber tournament on Folly Beach for the locals who know what that is. This book is for the guys too. Corvette’s, the beach and of course the girl. It is on Amazon in ebook and paperback. It is available locally at Treasure Island Beachwear and the Gallery Azul on Folly Beach. 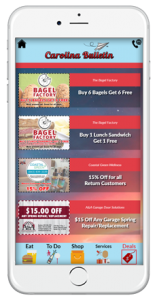 The leading social media publication in the Carolinas!